The canoe slid into the water… After gaining my balance, I paddled, making the canoe swing from left to right like a pendulum. “The steering will be tricky,” I thought, as I tried to keep the canoe straight. Ash and I — both comfortable in kayaks — were new to canoeing. “You chose a great day to canoe,” our Kanoe People guide Joe Bishop noted, as he paddled alongside us. “With this current, it will be a relaxing trip.” The sun was out, with just the faintest hint of a breeze. 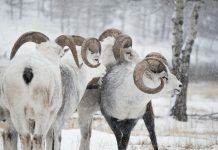 Joe has been living in the Yukon for a while, and, as an avid wildlife photographer, he has plenty of fascinating stories to tell. “I attract bears,” he mentioned before we set off on our trip. As I had no desire to bump into a bear, this statement made me a little nervous. 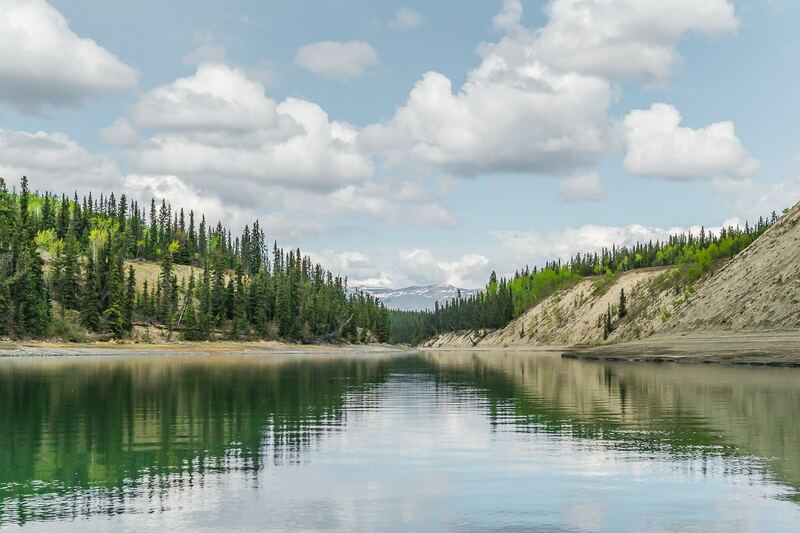 The Yukon River is an easy-going waterway, surrounded by some of the Yukon’s most spectacular scenery. 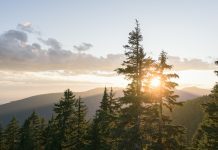 It’s a popular river, among both beginners and pros, who enjoy experiencing the wilderness through either a kayak or canoe. 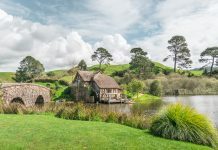 Multi-day adventures – where you camp en route to your destination – are popular among visitors. 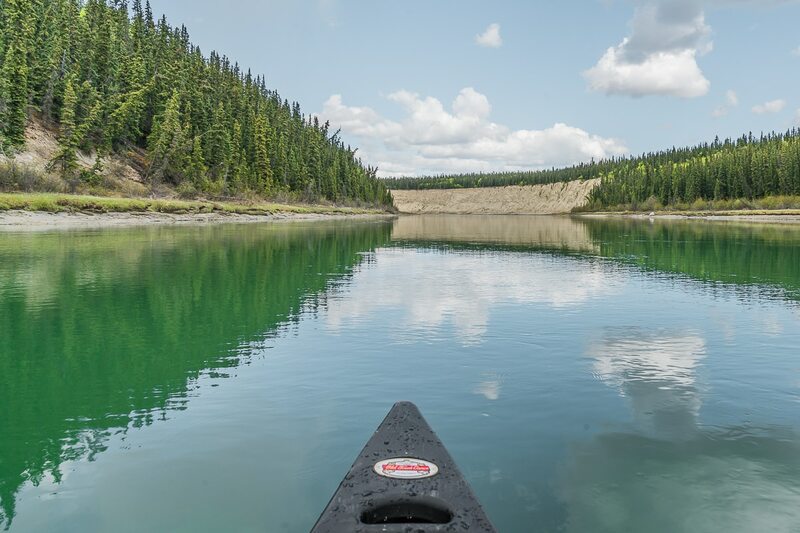 Short on time, we opted for a three-hour canoe trip, which would take us from downtown Whitehorse to the river’s confluence with the Takhini River. 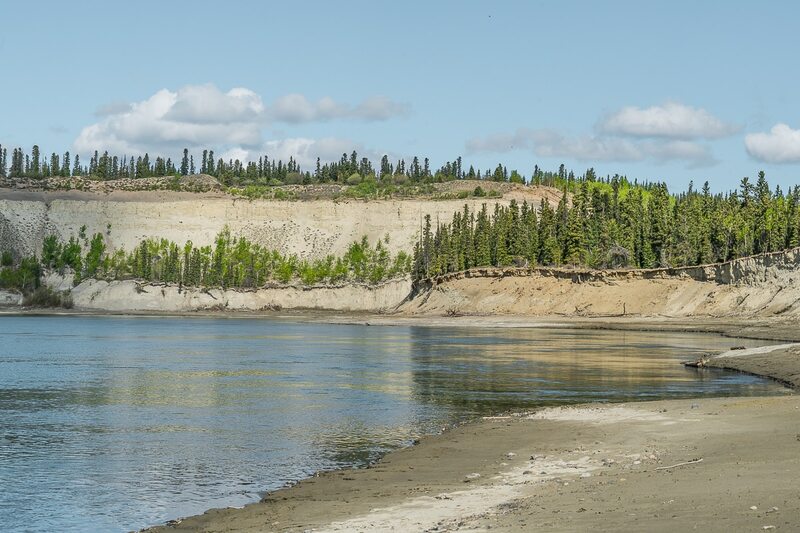 As it is some 3,190 km in length, the Yukon River is the third largest river in North America, and the longest in Alaska and Yukon. Ash, sitting at the front, would provide the power, while I, sitting at the back, was in charge of the steering. 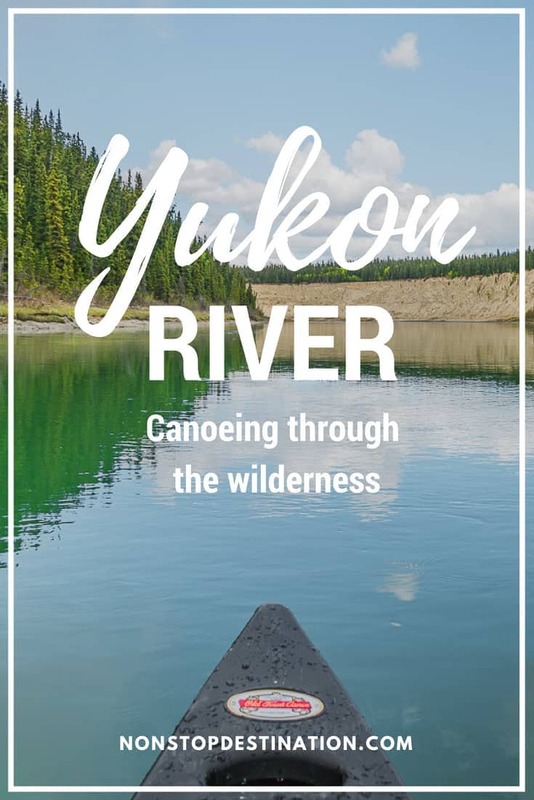 I lowered my paddle down into the blue-green water – and after just three strokes, the canoe was already heading the wrong way. I watched Joe effortlessly steering the canoe, and tried to emulate his movements. Our canoe – tricky to steer! “Left! No… Right! Slow down!” I kept shouting to Ash, trying to get a pace going. I realised the canoe would never go straight. So, for most of the first section, we paused, and let the current guide us. “We’ll stop here for a quick break,” Joe said, pointing to a small beach. By now, the steering had become easier, but I failed to land the canoe. Joe came to the rescue, grabbing our canoe and pulling it to shore. Usually, I never notice the marks wildlife leave behind, so I found the little shore excursion incredibly fascinating. However, having safely encountered no bears, I was glad to step back into the canoe, and continue with the next stage of our journey. Floating down the river was a peaceful experience. All was quiet, save from the splashing paddles and the many croaking ravens, flying around the cliff faces. 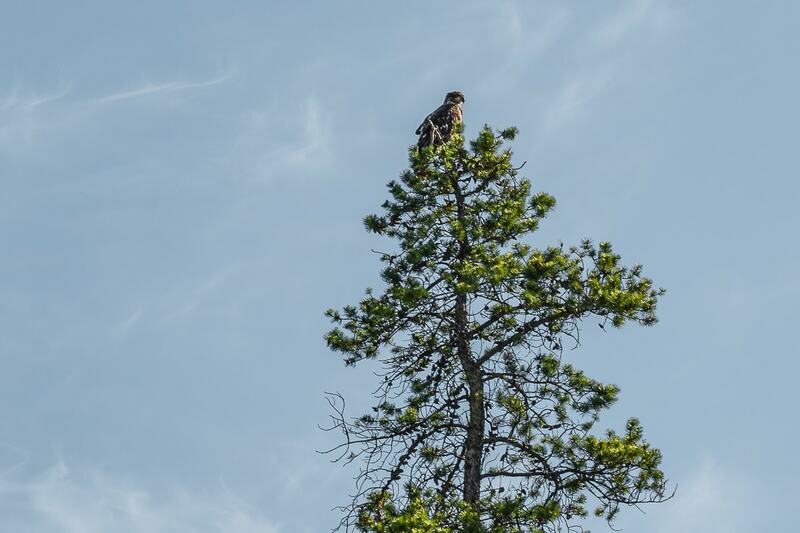 Apart from an occasional bald eagle sitting on top of the trees, most wildlife seemed to be hidden away in the forest. When it was time for a snack/tea break, we grabbed each other’s canoes and let the current move us along. “We have apples, strawberries, protein bars…” Joe said as he rummaged through the box, which contained all the delicious snacks. “Anyone want coffee or tea? I even have hot chocolate.” I did not trust myself with a hot drink in a canoe so I politely declined, instead taking a bottle of water and protein snack. The break couldn’t have come any sooner. I was just beginning to feel the results of the repetitive movement. Sudden shoulder pangs were telling me to take it easy. So, as my muscles enjoyed a little respite, my body consumed the fuel it had been craving. Rested, we set off on our last leg of the journey. “One hour to go! We must pick up the pace if we want to make the pickup time,” Joe told us. Ash and I quickened our strokes. By now, I felt I had control over the canoe, so Ash set the pace, and I followed suit. I steered the canoe whenever it veered off course, with broad strokes and the more unique “J” stroke, which I perfected from watching Joe. 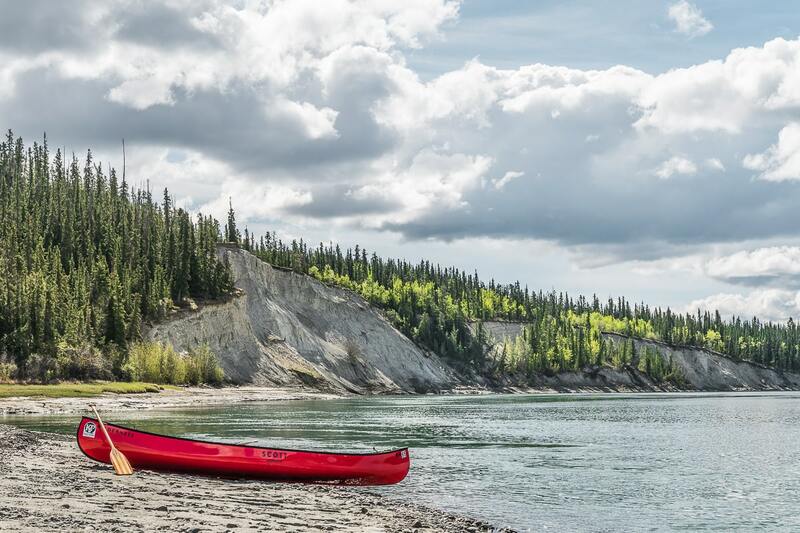 It felt exhilarating being able to paddle confidently – and by now, I was enjoying our paddle on the Yukon River! My excitement wouldn’t last long, though, for the weather turned, and the first raindrops began to fall. As the rain brushed against my face, I hoped the clouds would not break. 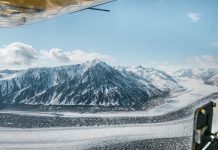 As we approached the Takhini River, sharp bluffs came into view. A colour difference between the waters marked the separation of the two rivers. For our pick up, we needed to paddle into the current of the Takhini River. This proved to be the hardest paddle I have ever tackled. Ignoring the stiff muscles and pain in my shoulders, we paddled as if our lives depended on it. I was exhausted. How could a three-hour canoeing trip wear me down so much? I clearly needed to work on my fitness. The current slowly moved us to the shore, where we stayed close to the edge. This gave us the opportunity to paddle our way up the river towards the pickup point. Thankfully, we made it. Looking for wildlife along the shore. 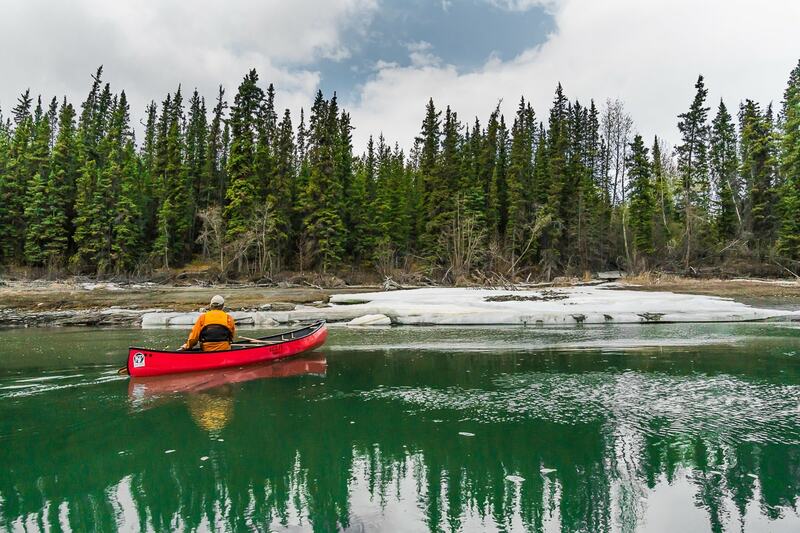 Canoeing wasn’t easy – in fact, at times, it was challenging. 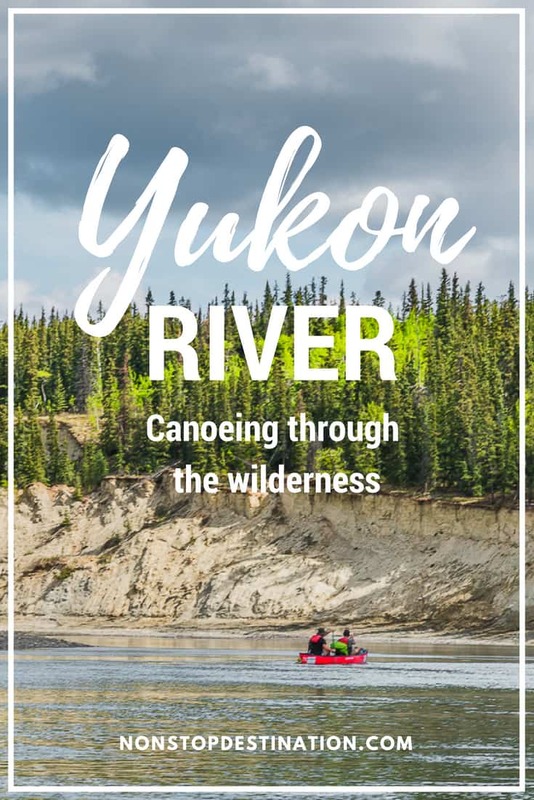 But paddling the Yukon River – encircled by wilderness and wildlife – is an experience I will not forget in a hurry… When you are heading up north, this is a true Yukon adventure not to be missed! 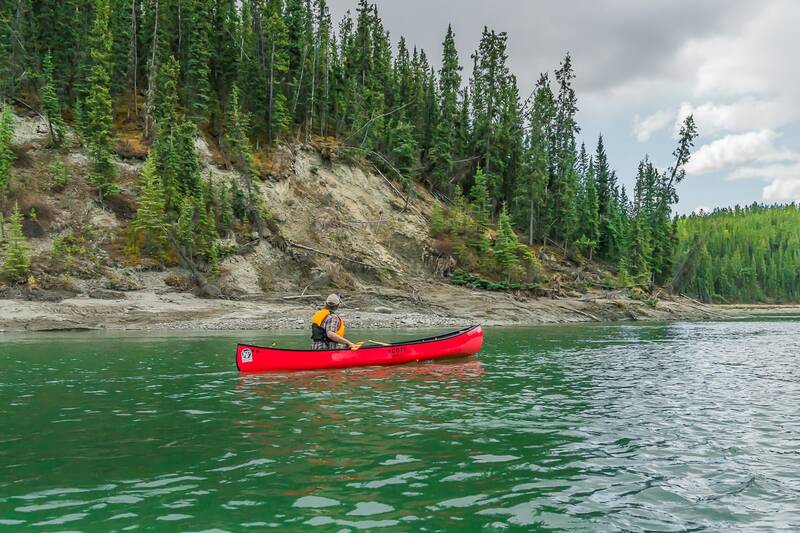 While canoeing the Yukon River, I was often frustrated when trying to steer my canoe. After some research, I found out that many people struggle with this, especially on their first try. 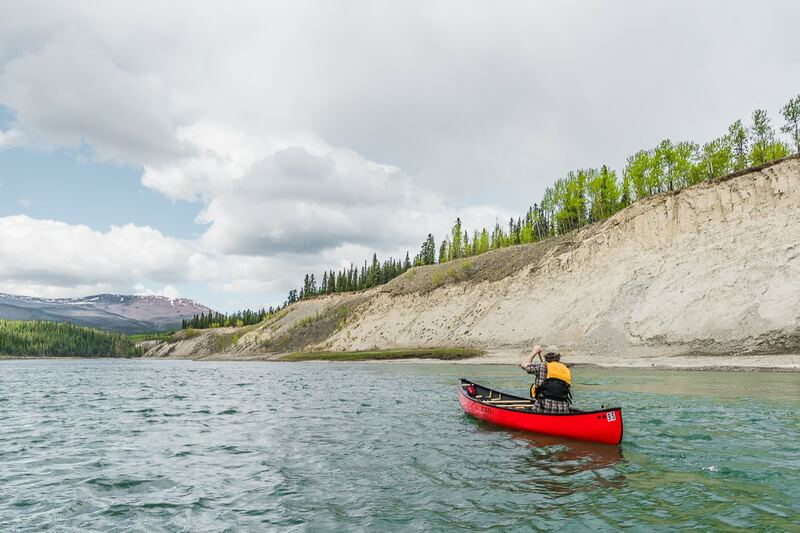 So, if you’re planning a first-time canoeing trip, check out this great guide on steering canoes. 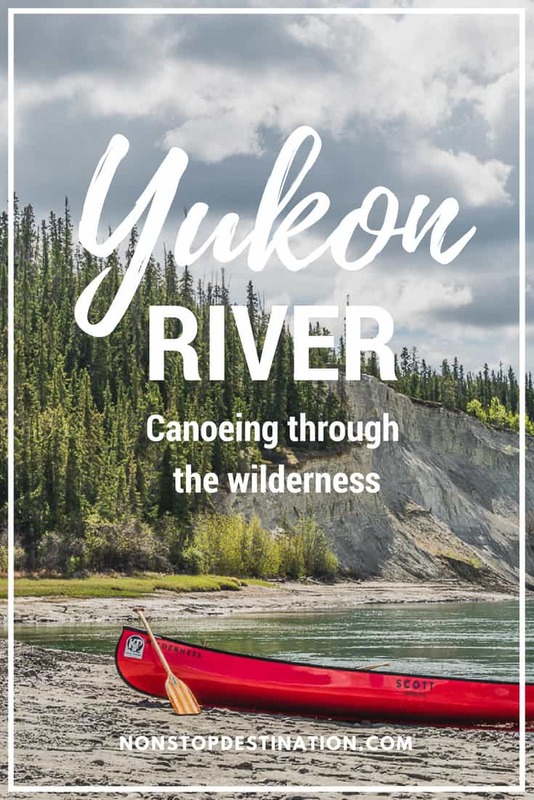 Apart from day trips, you can also book a multi-day Yukon River canoe trip with the Kanoe People. They offer guided trips, running from 7 to 12 days in duration. 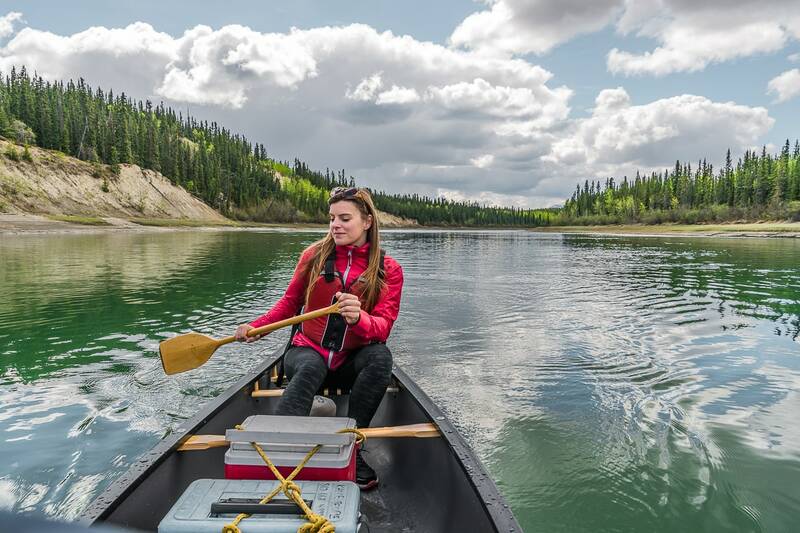 Or, if you want to step into the footsteps of the Klondike Gold Rush prospectors, Up North Adventures offers a 19-day guided tour, which will see you paddling 735km from Whitehorse to Dawson City. Day trips start from $150, while multi-day trips start from $1995. 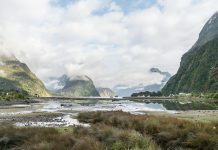 Pricing includes the following for multi-day trips: hotel accommodation, food, drinks, canoes/kayaks, tents and camping equipment. 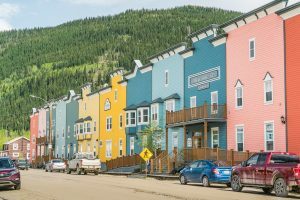 Spending some time in Whitehorse? 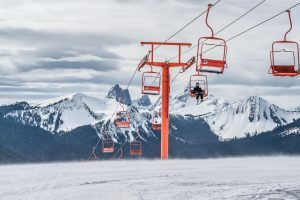 Make sure to read our Whitehorse travel guide. 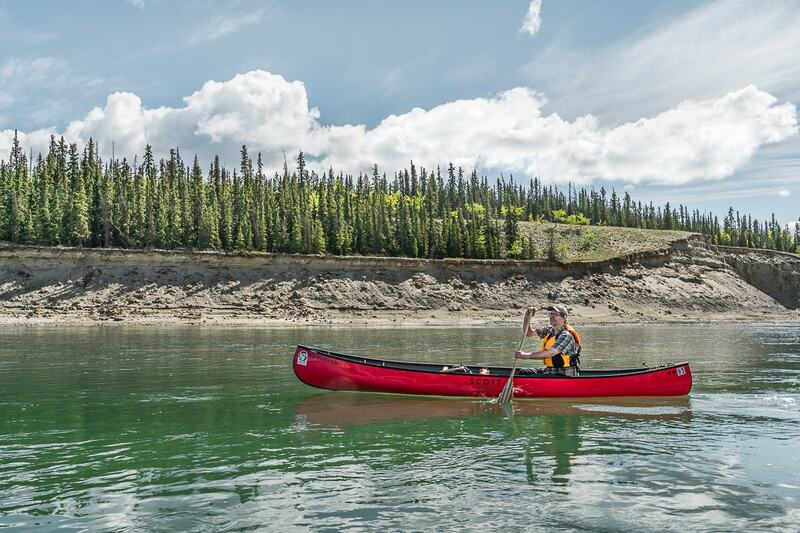 The Yukon River Quest is the world’s longest annual canoe, kayak and stand-up paddleboard race. 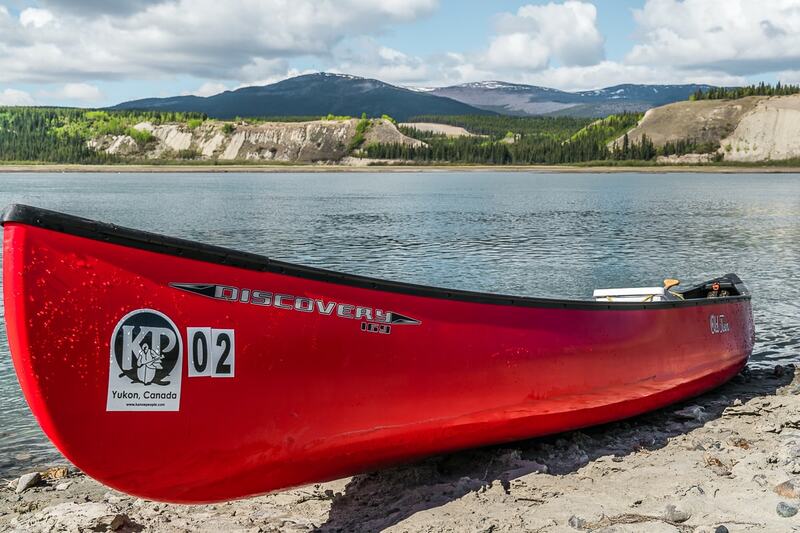 It starts in Whitehorse and sees participants paddling day and night to reach Dawson City in just two days. 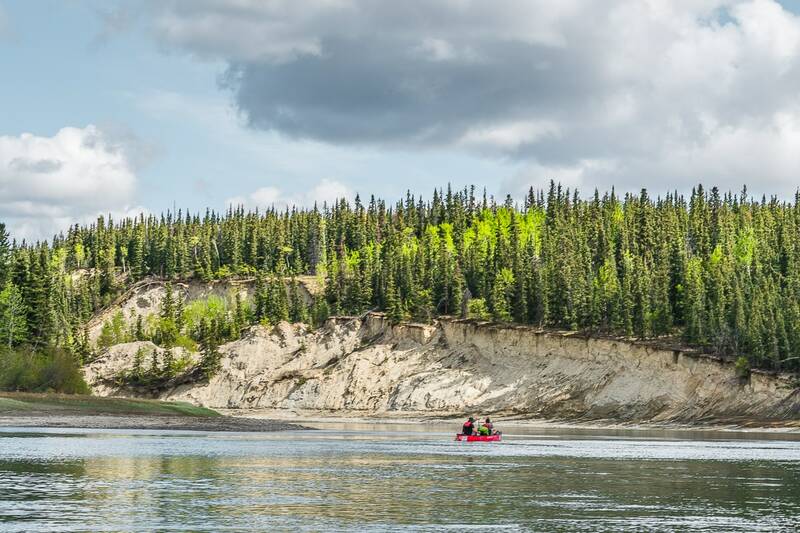 To find out more, you can visit the official Yukon River Quest site. Tourism Yukon invited us to experience the Yukon on a week long road trip. As always, all opinions are our own and you will always read our genuine thoughts and experiences. Pretty darn amazing Lies. Nothing like getting back to nature, enjoying the wilderness. I have yet to do a canoe trip. I did a little kayaking in Vietnam and enjoyed it immensely. What a fun time, being on the water, soaking up nature while doing some serious cardio too.